MOSCOW, RUSSIA - JANUARY 12, 2016: Full rehearsal of theater of ice miniatures perfomance anniversary program "We are 30" under direction of Igor Bobrin. 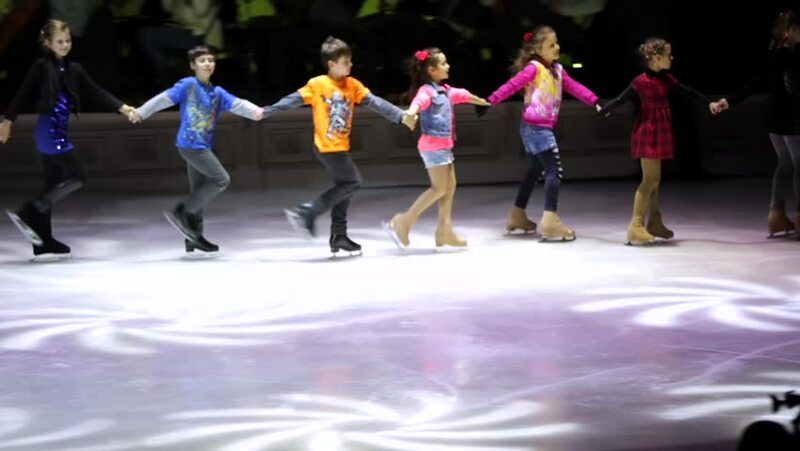 Children leave the skating rink. 4k00:24Close-up view of men and women feet. Crowd skating on the ice with colored light together, enjoying the leisure. hd00:33CHIANG MAI, THAILAND - June 9, 2013: Asian children practice their badminton exercise routines on June 9, 2013.